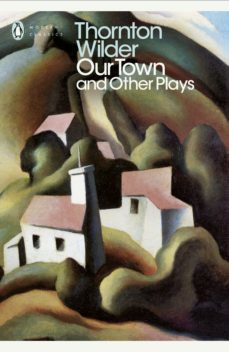 Finding the theatre of the 1920s lacking in bite and conviction, Thornton Wilder set out to bring back realism and to celebrate the innocent, simple and religious. Yet he also tried to endow individual experience with cosmic significance and Our Town is both an affectionate portrait of American life and an attempt to find a value above all price for the smallest events in our daily life. The Skin of our Teeth deals with human survival in a comic strip way, and The Matchmaker is a hilarious farce which urges rebellion against all the constraints that deny a rich, full life.